This tutorial is a guide that will show you how you can upgrade PIP in Windows. The PIP is a tool that help to install and manage Python packages, such as the packages that can be found in the Python Package Index. 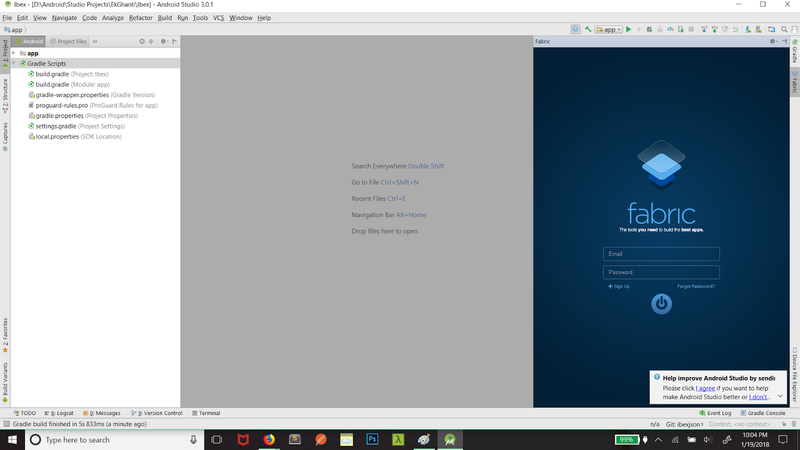 If you are following this tutorial that you already have PIP installed in your windows machine. 1. Check if PIP is installed in your Windows machine. 2. Check the version of PIP installed. 3. Upgrade the PIP version. 4. Downgrade the PIP version. 1. First of all to check if you have PIP installed in your windows machine, just open command line and type pip and hit enter. If you see a list of commands that look like the image below: Congrats, you have pip installed. Here you can check your PIP version and decide whether you want to upgrade or not. No just not the version down so you can downgrade later if required. You'll see the following in console and PIP will be upgraded. So this is it, you don't have much complexities in upgrading PIP or downgrading PIP. I've covered most common things that you'd want to do with the PIP package. If you are having trouble using PIP you can just enter pip --help in the command line and you will be able to see a bunch of options that you can use with PIP. Happy coding, if you any trouble upgrading pip or downgrading pip, feel free to comment them below, I'll be happy to help. 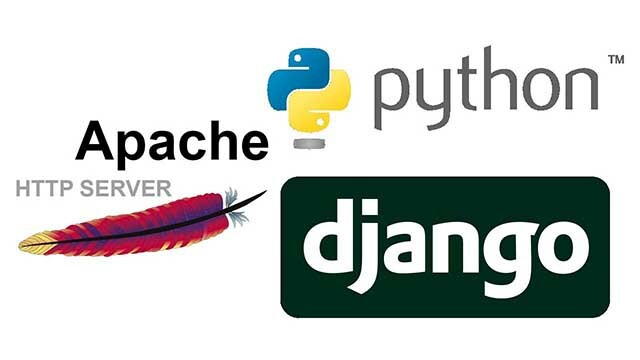 In this post, we'll discuss how to host a Django application in Apache Web server. Django has become my favorite web development tool in recent times, it provides a lot of tools that help develop an application in the shortest amount of time possible. 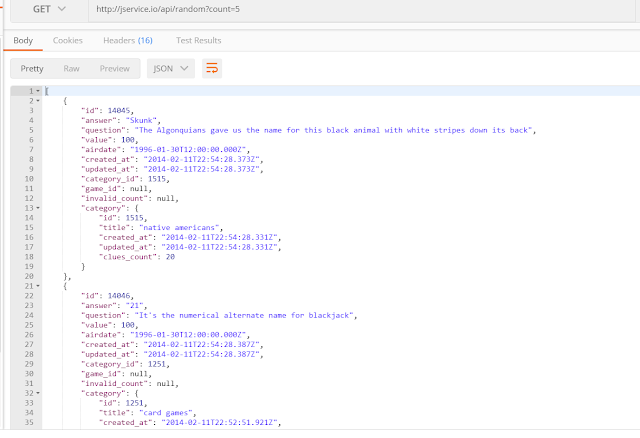 However, deploying the Django application can be a bit tricky, so let's get started with how to host Django web application in an Apache server running on Ubuntu. Note: We will also go through the checklist for Django Web Server Hosting so that you can verify your configuration matches the required configuration. 1. Assuming your Django application is ready, we will transfer it to the required server. For the sake of this tutorial, we will assume the root directory of the project (where manage.py is located) is root/django-app and settings.py,wsgi.py are located in root/django-app/django-app/. 2. If you don't already have python installed in you server, then go ahead and install it. Note that your django application's python version, server's python version and the version of mod_wsgi python must be matching. In the current date, you are most probably using Django version > 1.5 and probably using python > 3.
apt install mysql-connector-python and then set the database engine in settings.py to mysql.connector.django. Also change the other details to match the credentials of your live database. 4. 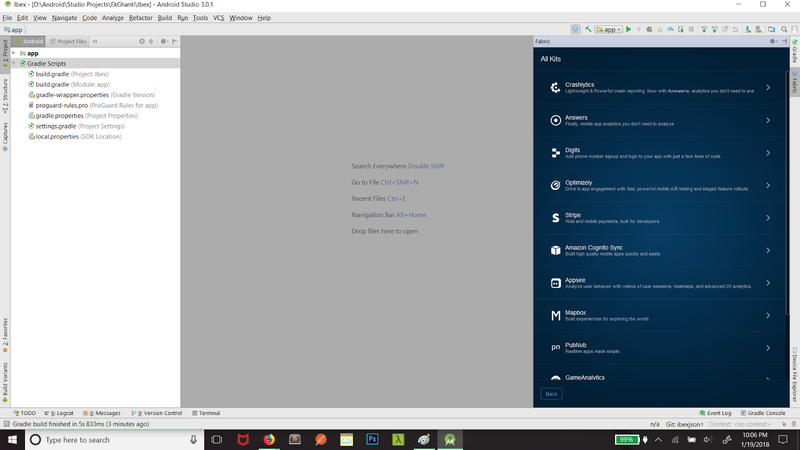 We have already installed mod_wsgi in step 2, now we just create a virual-host for our web application and use the power of wsgi to serve requests to our Django app. We are done, restart the Apache server and your Django web application is ready to be served! and yeah a gentle reminder, set Debug = False in settings.py when you go live, don't let everybody see those nasty error reports! I have had a lot of trouble with deploying Django apps in server in the past, the most common problem was version mismatch. So make sure your Python version, django version, mod_wsgi version are all compatible with one another. Cheers! Happy coding. Animations in your Android App have a huge impact on how the user perceive your app. Creating Animations have been constantly simplified with newer APIs that Google provides. 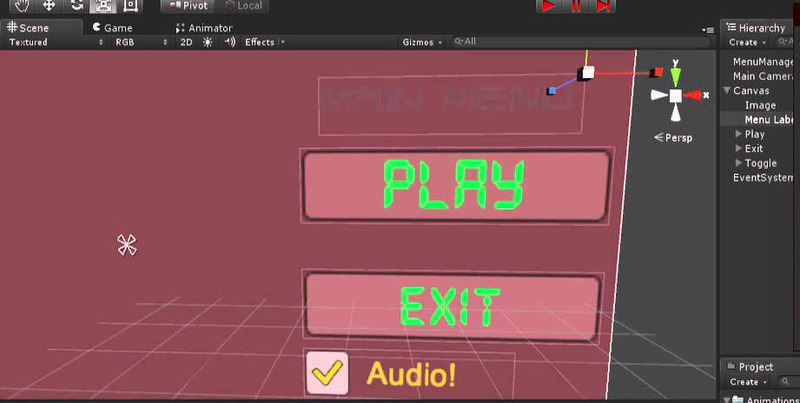 Feel free to check out our tutorial on enabling default Animation of visibility changes. Now, on to the matter at hand: Animating the rows of RecyclerView when Scrolled. First of all we will create a slide in Animation in XML that we will use. In RecyclerViews' bindViewHolder we will set this as the Animation for each view. We are just defining the animation that will slide our row view from right to left. 100%p means the row will slide in from where the parent ends. 0 mean its ending x position will the 0. Now that we have already defined our animation, we just need to apply in to our rows of the recyclerView. We can easily do that whenever we need to bind new rows to the RecyclerView. Add the following code in onBindViewHolder. This code just checks if the position of the row to be displayed is greater that the last row that has been already displayed, if so we just apply our animation to the view. Here lastPosition is a global variable that is initially set to -1 and we can also set the animation variable as global variable depending on your requirements. We are done! now just add the changes mentioned above to your code, run you app and see beautiful slide in animations in the rows of your RecyclerView whenever you scroll the recyclerView. Feel free to let me know if you have any issues. Animations can separate your app from normal "Just Functional" app and give you app a more polished feel. There are a lot of options how you can show animations on Android, however there is a very easy way to animate layout changes that will make your app look and feel better and more natural. Note: You can also do it completely programmatically with the XML, that discussed at the end. We are now done, findViewById refrences the root layout inside which you want to show animations. Now is the time you can build and show or hide some views and test if this works or not! It will work. So wasn't that easy? Of course you can have you custom animation and not the default changeBounds and Fade animations, but for simple Visibility the default ones are the best in my opinion. In case you want to show your custom animations, you need to create a LayoutTransition object and supply it to the layout using the setLayoutTransition() method but that the code for some other day! This is it! Now your app will show animations on layout changes, show whenever the visibility of your views is set to Hidden or Visible, they are handled gracefully, 2 minutes of your time for better UI and UX. Let me what you think below. Cheers! Also don't forget to check out the RecyclerView Slide in Row Animation Tutorial. Have animations in your RecyclerViews in just 2 Minutes! Finally, after years of dreaming and praying external fonts are fully supported in Android. By fully I mean you can use it directly in XML, add them to styles, create your own font family. Have same fonts through out the app. It is great! Yes, I am enjoying every bit of this easy font styling instead of having to write a custom class extending required view just to have the font you like, oh what a pain it was! I am happy and this post will make you happy, so lets dive right into code. Yeaaahhhh! The scream of joy! 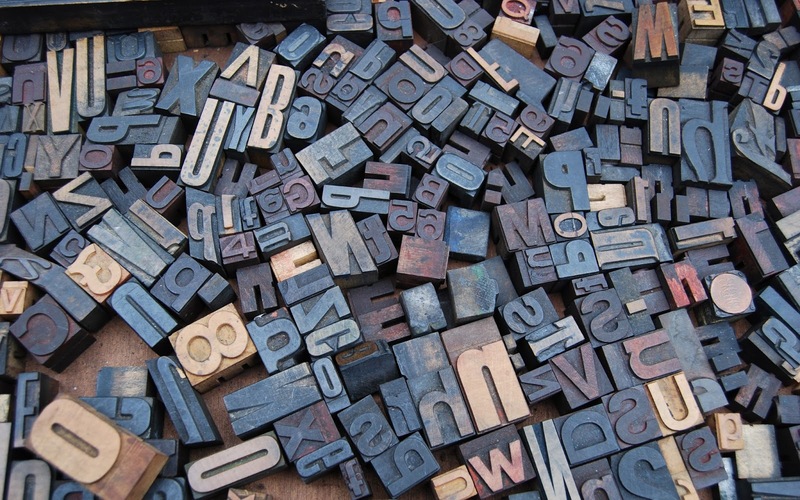 No more of this stupid method: Custom Fonts In Android Using Custom Class. Now all you need to do is just use this style whereever you want through-out your Android app provided you have added montserrat_bold font in your font folder inside resources. So Simple, now if you use this file as the fontFamily in a style and use that style in views then you can just type fontStyle as italic and your view will use montserrat_light_italic as the style. To use this in Android version as low as 4.1 (API level 16), you need to use a support library >= 26. The app:font lines are so than your fonts can be used in versions lower than API level 26. This is it. Go, cry tears of joy and use your favorite font in you app! Database backup is one of the most important tasks of server maintenance. Taking database backup in a Linux server manually whenever we want a backup in not for cools users :D. Database backup should be taken periodically in fixed intervals, and we here like to automate out periodic tasks. In this tutorial we will take a look at Cron Jobs and Crontabs in Linux; and see how we can schedule periodic complete Database backups of our MySQL Databases using Cron. Now you should have Cron installed. Let's go to the next step. Now that we have installed Cron installed in out Linux system we are ready to schedule the MySQL Database backup. Note: If you are not familiar with Crontab/Cronjobs, I recommend watching our 5 minute tutorial : Cron Job. The above commands backs up your all databases everyday at 12:30 AM for the user that you entered after -u in the command above. The last part (db_`date '+\%d-\%m-\%Y'`.sql.gz) is the database name. The `date '+\%d-\%m-\%Y'` appends the date to db_ so your database bacakup won't be overwritten, if you create a static name, your latest database back will overwrite previous database backup. You can learn about the parameters of Cron job in our tutorial video: Cron Job. So, this is it for this tutorial, you should now be able to backup your MySQL Database using Crontab. If you have any problems, feel free to comment below. Cheers! In any Android or iOS applications, it is highly likely that these will be a use case where your app will crash even if after the rigorous tests you've put your app through. 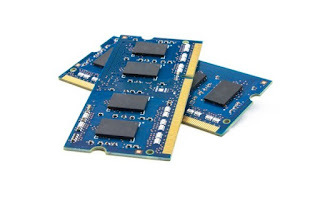 Be it because of different API levels, memory issues, hardware incompability or any other problem, its of utmost importance that you recognize these factor and diagnose them. This is where Crashlytics comes in, it helps you track crashes very precisely find out the issue and diagnose them. Crashlytics can also provide you insights and possible solutions for common errors. Paying attention to these crashes and fixing them as soon as possible avoids frustation among more users and possibly you can impress your users with quick bug fixes. If you don't use tools like Crashlytics, it's very difficult track the crashes, more of your users might get unhappy and give your app bad ratings and reviews, uninstall your app and go with your competitier's app instead. The app market is already very crowded, keeping your users happy and providing them a bug free and crash free experience is vital in any app's success. 1. Real time error reports: You can opt to receive email about the errors in real time so you know exactly when the app has crashed. 2. Possible solutions and insights for major/common issues: Crashlytics also provides possible solutions to some commont problems so you can understand more about the crash in your apps. 3. Stability Digest: Crashlytics also provides a stability digesting informing you how stable your app is. It provide key features of your apps performance. 4. Helpful Organization of errors into categories: The errors are well organized and categorized into different groups making it very easy for you to navigate through and focus on the important ones. Enter your details, use an Email address to which you have access as you'll receive the confirmation email later on. 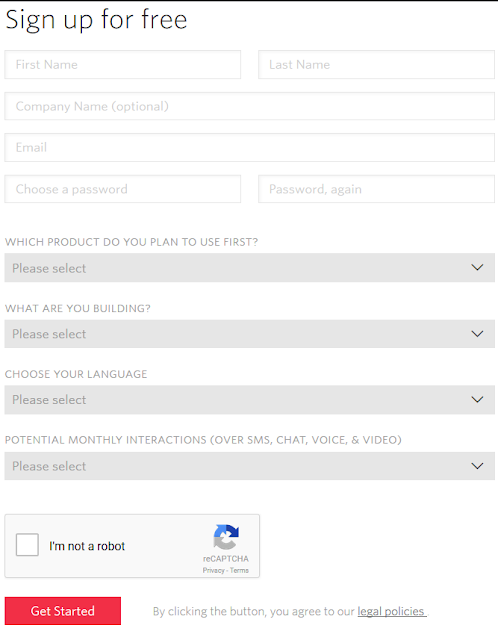 Once you have confirmed your account, you'll have the options to select from: iOS, Android and Unity. Select Android as we will be integrating Crashlytics to our Android App. 2. 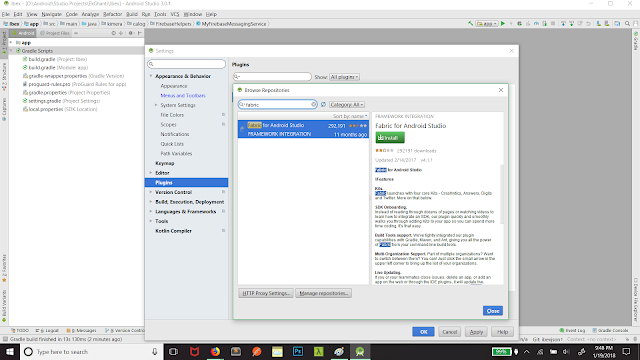 Installing Fabric Plugin to Android Studio. 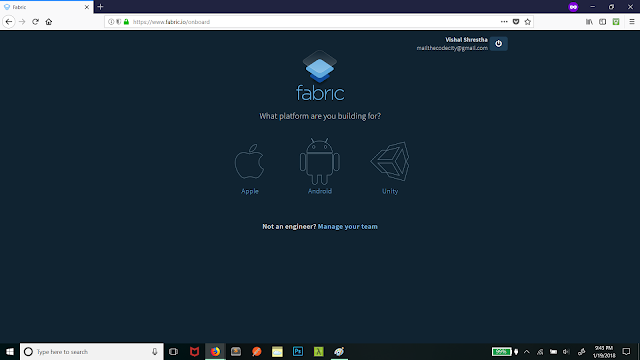 Now it's time to install Fabric plugin to Android Studio so we can use Crashlytics. You will be able to see what you need to do once you select Android. 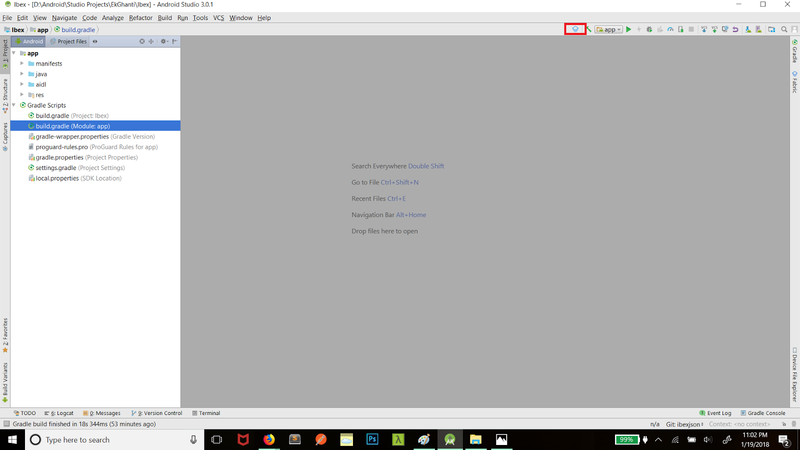 However, at the moment of writing this, the instruction were not upto date due to updates in Android Studio, so here are the generic steps: Go to file->settings->plugins then search for Fabric and click install. 3. Add Crashlytics to your Android Project. Now click on the Fabric icon and you'll see login option. 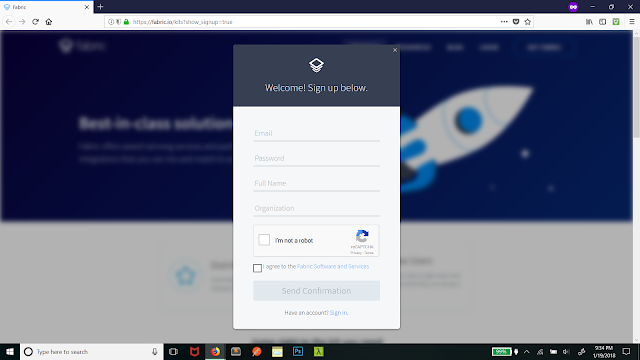 Login in using your details that you had used in step 1. Once you've successfully logged in, you'll see a bunch of options that you can use in your project. We will select Crashlytics as we are only interested in crash reporting for now. After selecting Crashlytics, you'll find options to do the necessary changes automatically, code to generate a crash to test and user information. 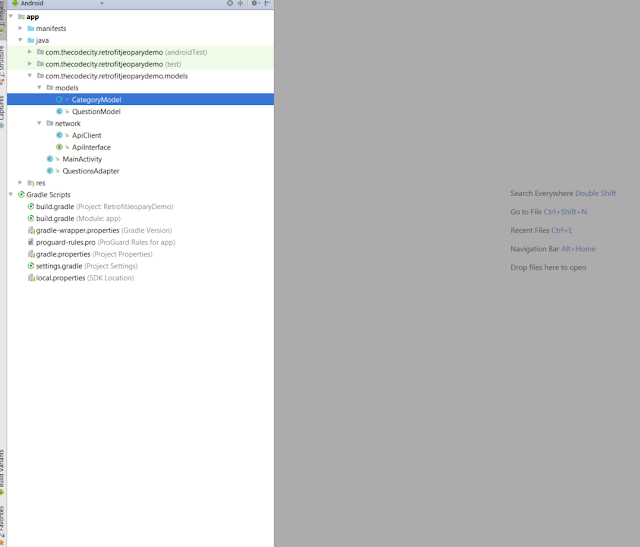 Just click on install and your Gradle file will be modified automatically to include Crashlytics. After you've run the project, you see your project in Crashlytics dashboard. This is it! We have integrated Fabric Plugin in Android Studio and Crashlytics to Android App. If you have any issues feel free to comment below, I'll be happy to help. :) Happy Coding! We have previously seen how we can create Grids in RecyclerView using GridLayoutManager. You can check out that tutorial/example here: GridLayoutManager with RecyclerView. In this tutorial we will learn how we can use the StaggeredGridLayoutManager with RecyclerView in Android to create Grids of unequal size. 1. Android Studio, get it here: Android Developer website. 1. Set up Gradle Dependencies for using RecyclerView and CardView. 2. Create an Activity Layout with RecyclerView as a ChildView. 3. Create a Layout that will be used as a Grid in the RecyclerView. 4. Create an Activity class where we will have majority of our code. 5. Create and Adapter and ViewHolder for our RecyclerView. 6. Select the Images to show in the Grids of RecyclerView. 7. Set up the RecyclerView. We've used cardView as the root because we want our images and text inside curved cards similar to that of Pinterest layout. The parameters cardCornerRadius is used to define how much we want our cards to be rounded at the corners. CardUseCompatPadding defines is for the backward compatibility for deviecs lower than Lollipop. In the LinearLayout we have defined orientation to be vertical. In the ImageView, we have ScaleType set to FitXY in the ImageView as it allows the image stretch and occupy all the available space. Finally, we have a TextView below the ImageView. We will display the caption in this TextView. 4. Create a Java Class to handle RecyclerView. In the next steps we will an Adapter and ViewHolder for the RecyclerView that defines what to display in the RecyclerView. 5. Create a RecyclerView Adapter and ViewHolder. Now, let us create the Adapter for our RecyclerView. 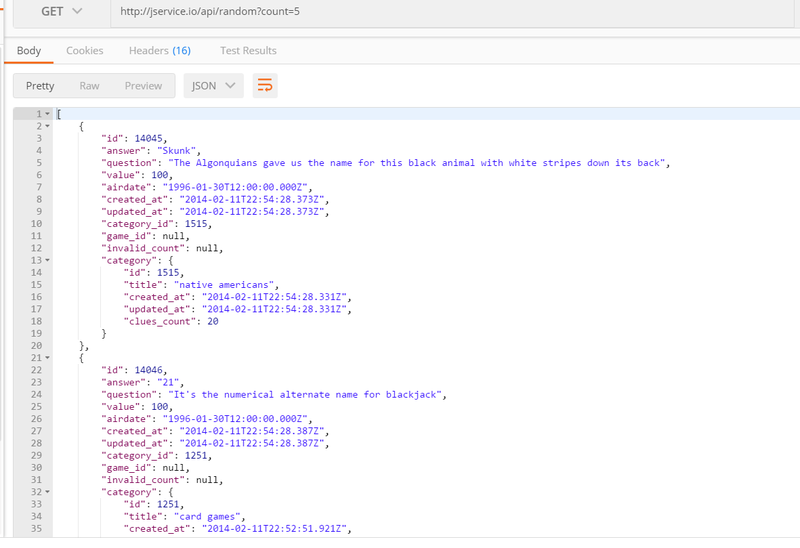 The Job of adapter is to create and bind data to view that correspond to each item in our Data-set. Create a nested class again. I've called it GridLayoutAdapter. It should extend RecycerView.Adapter. Now, we need to display the layout that we had created with CardView and TextView in Step 3 as the Grid of the recyclerView. We do it inside the onCreateViewHolder method of the Adatper. Here's the updated onCreateViewHolder method. 6. Setting up the Images we need to display. We are almost done now! we just need the images we need to display and set the adapter to recyclerView. In the drawable folders inside res folder, I have added some images that will be displayed in the Grids of RecyclerView. Let's create a method called setUpBitmaps() that return an array of Bitmaps. Now we have everything we need, The RecyclerView, The ViewHolder, The Adapter and The Data that needs to be display. On to the next step! 7. Setting Adapter to RecyclerView. We are now done. 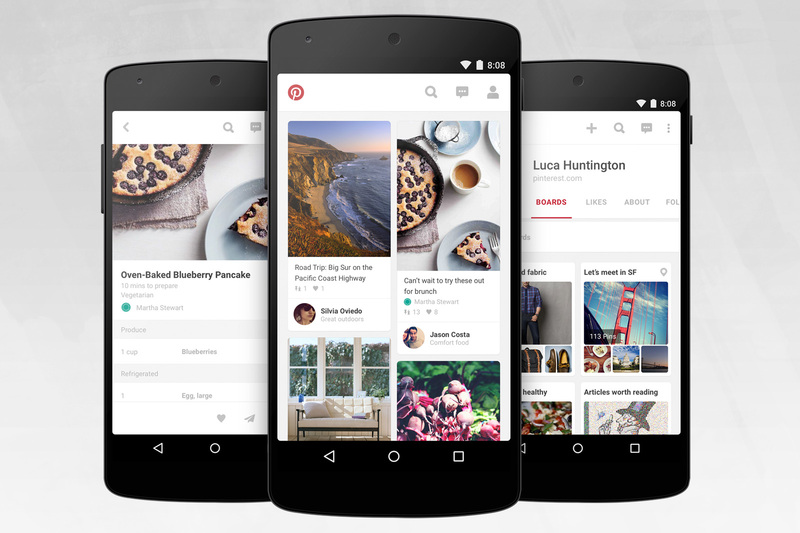 You can build and run the project and you will see a Staggered Grid Layout, just like pinterest. Enjoy! Drop any question you have in the comment section below. Happy Coding.